Chemicals, petrochemicals Refineries, sugar, food stuffs, paper, dyes, textiles, rubber, environmental engineering, handling of hydrocarbons, organic and inorganic chemicals, condensate dm water etc. heavy duty with integral foot and multi – ribbed discharge flange provided superior resistance to pipe loads and improves reliability back pullout design allows for removal of the rotating element without disturbing the casing pipe work of motor to simplify routine maintenance. duplex stainless casted, open impeller for high efficiency performance, low running cost and long life, impeller back vanes and shroud design provides axial balance which reduces maintenance and downtime cost by extending seal and bearing reliability. 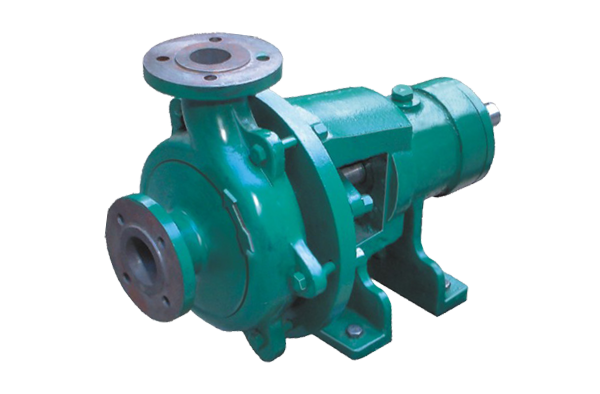 Amt – series process pumps can be supplied either with gland packing compatible to the pumped liquid or with mechanical seal in the stuffing box having suitable connection / stamping for sealing / slushing / circulation / cooling etc. Made of en-8 steel & s.s 304, s.s 316 specifications, sample size to transmit power without distortion or vibration. Anti-friction ball bearings, single row deep grooved heavy duty selected to provide maximum service. Oil lubrication arranged by oil point. C.I. BRONZE, S.S 304, S.S 316 & ALLOY-20 ETC. Deep gland box with graphite packing. Packing is lubricated by lantern ring with grease. Marked with arrow on the casing of each pump. Check before coupling with prime mover. Suitable base can be supplied with the pump.